In addition to stacking trophies, the Blue Devils hit the books hard in hard-hittin’ New Britain. 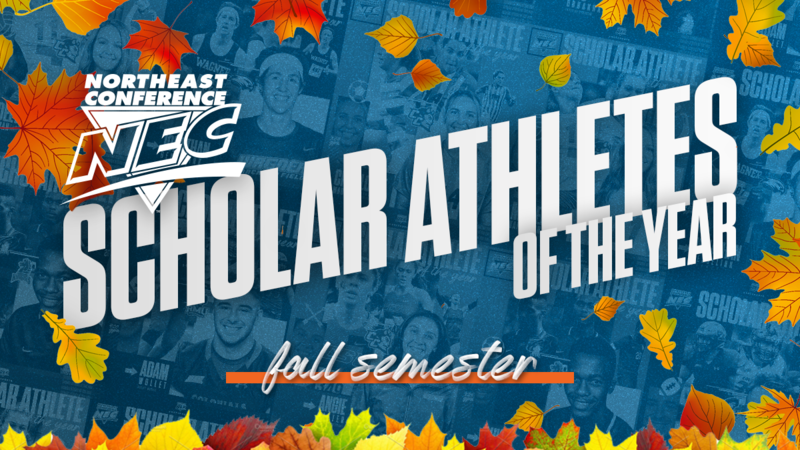 Central Connecticut is home to three of the NEC’s six Scholar-Athlete award winners from the 2018 fall season. Angie Rafter (women’s cross country), Charlotte Maurer (women’s soccer) and Madelyn Kaprelya (volleyball) all brought some hardware back to Hardware City. In addition to their academic exploits, the trio of Blue Devils helped their respective teams to plenty of athletic success this past fall. Rafter led CCSU to its first NEC women’s XC team title since the turn of the millennium. Maurer and her mates carried a 17-game unbeaten streak into the 2018 NCAA Women’s College Cup Tournament. Kaprelya was a key contributor to a CCSU volleyball unit that posted a second-place finish in the NEC regular season standings. The other Scholar-Athlete award recipients represented Wagner, Fairleigh Dickinson and Robert Morris. FDU’s Ahu Obhakhan (men’s soccer) and RMU’s Adam Wollet (football) were repeat Scholar-Athlete winners while also earning Google Cloud CoSIDA Academic All-America honors. Jon Besselink brought the men’s cross country award to Grymes Hill after posting a fifth-place finish at the 2018 NEC Championships. All six honorees carried a cumulative grade-point average no lower than 3.50.